Let’s face it: There’s a lot to know about a CRM platform like Salesforce. And that’s not a bad thing at all. It just means that with such a powerful platform comes a bit of a learning curve. Thankfully, Salesforce offers several downloadable guides to help modern sales leaders get the most out of the platform. In addition to that, plenty of third-party companies, researchers and consulting firms have also published informative pieces of content about Salesforce. Here are ten notable Salesforce guides we uncovered that modern sales leaders should check out. Whether you’ve just implemented Salesforce for the first time or you’re a seasoned vet, it’s always a good idea to keep a copy of Salesforce’s How to Be Successful With Salesforce nearby. This comprehensive guide covers the gamut – from getting started as a new user to optimizing tools for developers and administrators. Yes, the guide is more than 5,000 pages long. But that’s nothing that a quick CTRL + F search can’t fix. Just as important as learning what to do when implementing Salesforce is knowing how to avoid some big mistakes, which is what you’ll learn in Getting started with Salesforce (What Not To Do). This guide offers tips for modern sales leaders on things like achieving early adoption and aligning CRM with sales objectives. Use the combined knowledge of 22 Salesforce experts in How to Accelerate Your Salesforce ROI. This guide from Docurated covers the biggest mistakes companies make during integration. Once you’ve got Salesforce set up, Check out this free guide from InsightSquared: Getting the Most from Salesforce. This eBook specializes in customizing Salesforce to your specific needs, including tracking leads and opportunities and overcoming CRM limitations. Get advice from a rocket scientist turned Salesforce MVP in 10 Salesforce Survival Tips from Alvorden. 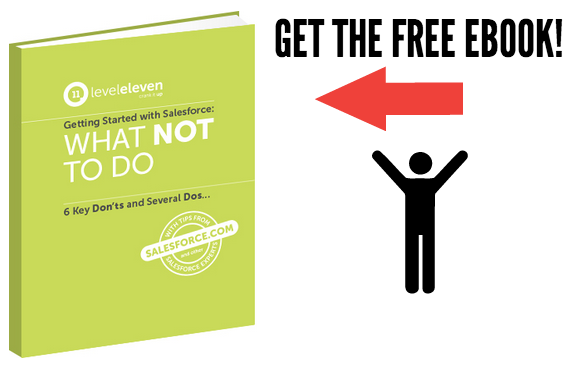 This 24-page eBook includes everything from lead generation, to requirements, risks and budget of Salesforce projects. Salesforce has a lot of capabilities, and Apttus highlights the strong technical foundation for e-commerce initiatives offered by the Salesforce1 platform in The Ultimate Guide to E-Commerce on Salesforce. Keeping up with the pace of evolving technology, Salesforce is always adding new products to its offering. The Wave Analytics Cloud offers great value to modern sales leaders. Read this quick post from Appirio to get a good understanding of the fundamentals: A Quality Guide to Salesforce Wave. Plenty of third-party companies, researchers and consulting firms have published informative guides for Salesforce. Here are 7 for modern sales leaders.